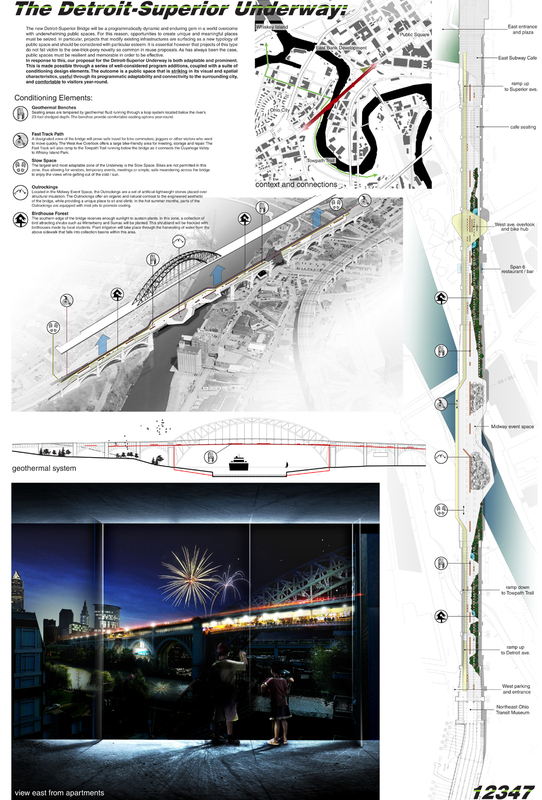 The new Detroit-Superior Bridge will be a programmatically dynamic and enduring gem in a world overcome with underwhelming public spaces. For this reason, opportunities to create unique and meaningful places must be seized. 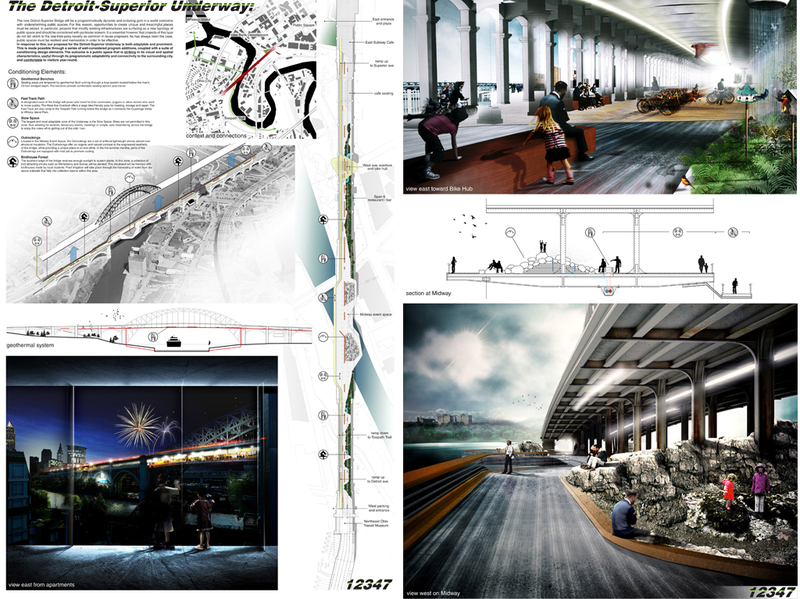 In particular, projects that modify existing infrastructures are surfacing as a new typology of public space and should be considered with particular esteem. It is essential however that projects of this type do not fall victim to the one-trick-pony novelty so common in reuse proposals. As has always been the case, public spaces must be resilient and memorable in order to be effective. 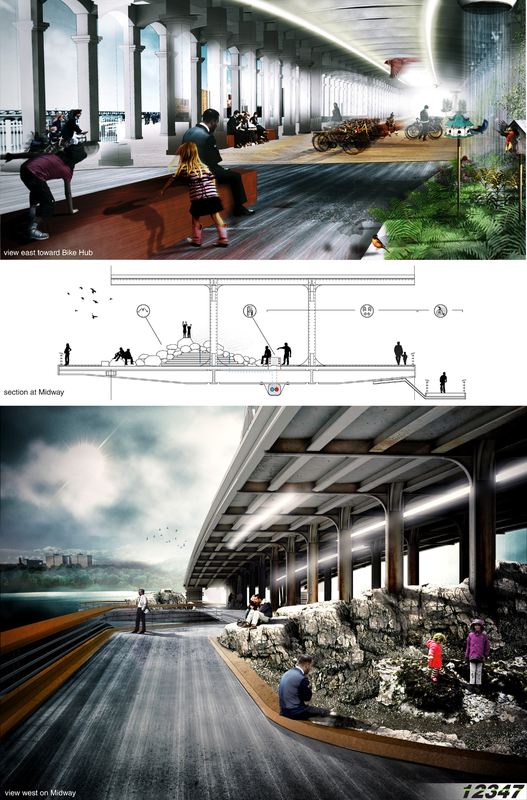 In response to this, our proposal for the Detroit-Superior Underway is both adaptable and prominent. This is made possible through a series of well-considered program additions, coupled with a suite of conditioning design elements. The outcome is a public space that is striking in its visual and spatial characteristics, useful through its programmatic adaptability and connectivity to the surrounding city, and comfortable to visitors year-round.